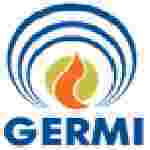 GERMI recruitment 2017-18 notification has been released on official website www.germi.org for the recruitment of total 02 (two) jobs out of which 01 (one) for Project Engineer, 01 (one) for Deputy Engineer vacancy. Job seekers should apply on or before 30th December 2017. Here on this page you will get the details like the Name of vacancies released by GERMI with exact number of posts. Some other criteria like Education details, application fee and way to apply application for GERMI recruitment 2017. Educational Qualification: BE/B.Tech (fulltime course only) for S.no-1. B.E. (Mechanical) Must have knowledge of setting up water supply system & Autocad, Automation of system is desirable for S.no-2. Age Limit: As per GERMI Rules. Interested and eligible aspirants may apply in prescribed application form along with Photocopy of the educational certificates and relevant documents sent to Director General, GERMI OR recruitment@germi.res.in on or before 30.12.2017.